Students Represent Burnaby at CAIMUN – Making sense of an interconnected world. Together. Once again, Burnaby School District students made a good showing at the last Model United Nations conference of the 2013-14 school year. CAIMUN (Canada International Model United Nations), the conference which boasts the longest schedule of all, hosted students from Moscrop Secondary, Burnaby North Secondary, Burnaby Central Secondary, Burnaby South Secondary and Alpha Secondary along with student groups from Vancouver, Richmond and many other districts. Moscrop’s own Aishwi Roshan was the speaker of the Historical House of Commons committee. She can be seen in the photo above, awarding recognition upon her members. Aishwi is also a committed member of the District’s United Nations club. Model United Nations is an avenue into the world of international politics and debate. The research required by students prior to a conference is noteworthy. Topics are wide-ranging and based upon current issues, in addition to connections to actual United Nations committees and agencies. Often, as in CAIMUN, committees branch back into time and cover various historical wars or eras. Students looking for experience, learning opportunities are encouraged to get involved in one of the many Model United Nations opportunities. 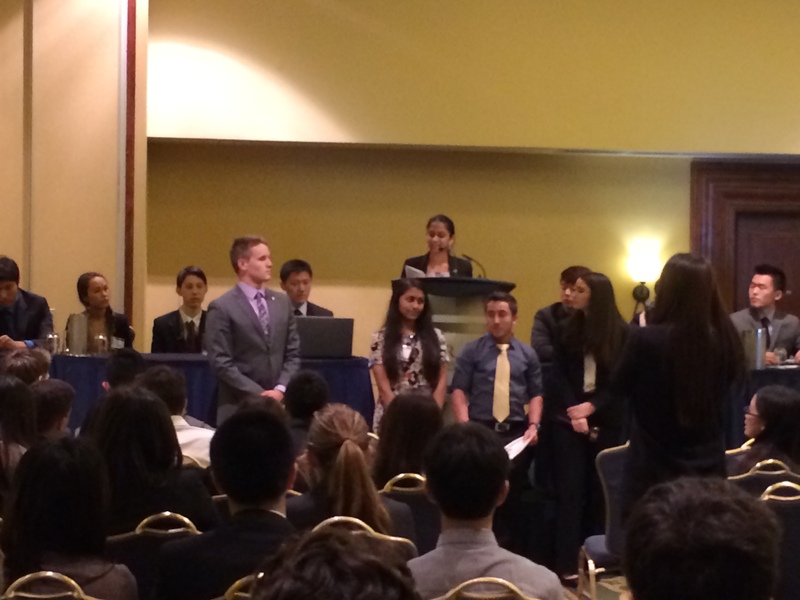 BCMUN and QEMUN are examples of one day conferences to get a feel for how it works. The next step is to attend a weekend conference usually located at a downtown Vancouver hotel – ConnectMUN, CAHSMUN and CFMUN are great examples.